Which Mental Disorder Is Named After A 1990s Movie? The Black And White Gangster Film Kevin Watches in 'Home Alone' Is Called? 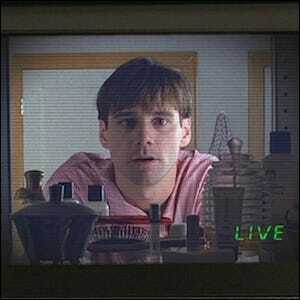 In the 1998 movie The Truman Show, Truman Burbank (played by Jim Carrey) is the focus of a television show that has been documenting his entire life. Unbeknownst to Truman, he’s the subject of a globally popular reality television show that follows his every waking and sleeping moment. The entirety of Mr. Truman’s existence is carefully orchestrated by a team of producers and the people he interacts with are actors. Shortly after the release of the popular movie, psychologists started seeing patients cropping up with delusions that they were, like Mr. Truman, not living a real life but were instead captured in a sort of movie set designed to showcase them for a global audience. People suffering from the delusion have gone so far as to petition the federal government to be removed from the reality TV show they are trapped in and sue HBO (operating under the delusion that HBO was the network filming the reality show they are starring in). Patients with the Truman Show Delusions are difficult to treat as they believe everyone (including the therapists and hospital staff that come to their aid) are part of the elaborate ruse designed to keep them in the reality show. While fascinating, this certainly isn’t the first time that popular media has fueled the delusions of the mentally ill. The popularity of UFO/alien stories in comic books and Sci-Fi shows/movies in the 1950s and 1960s led to a marked rise in patients having delusions of alien encounters and abductions.